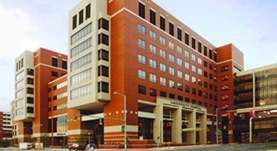 Dr. George Solomon graduated the medical school from University of Alabama School of Medicine and completed his residency program at University of Alabama Medical Center. A fellowship at University of Colorado followed soon after that. Dr. Solomon is specialized in pulmonology and board certified in critical care, internal medicine and pulmonary disease. He has been in practice for more than 6 years and during his career, he has also published several writings of medical interest in collaboration with other doctors. Dr. George Solomon has contributed to 3 publications. Combination Therapy with Cystic Fibrosis Transmembrane Conductance Regulator Modulators Augment the Airway Functional Microanatomy. Birket, S. E.,Chu, K. K.,Houser, G. H.,Liu, L.,Fernandez, C. M.,Solomon, G. M.,Lin, V.,Shastry, S.,Mazur, M.,Sloane, P.,Hanes, J.,Grizzle, W. E.,Sorscher, E. J.,Tearne...; Am. J. Physiol. Lung Cell Mol. Physiol.. 2016 Mar 13. Acquired Cystic Fibrosis Transmembrane Conductance Regulator Dysfunction in Chronic Bronchitis and Other Diseases of Mucus Clearance. Raju, S. V.,Solomon, G. M.,Dransfield, M. T.,Rowe, S. M.; Clin. Chest Med.. 2016 Feb 10. Pharmacokinetics and tolerability of oral sildenafil in adults with cystic fibrosis lung disease. Taylor-Cousar, J. L.,Wiley, C.,Felton, L. A.,St Clair, C.,Jones, M.,Curran-Everett, D.,Poch, K.,Nichols, D. P.,Solomon, G. M.,Saavedra, M. T.,Accurso, F. J.,Nick, J. A.; J. Cyst. Fibros.. 2014 Dec 04.